Writer's Group Film Corp is the new owner of Amiga's 300+ back catalogue of games. Amiga Games Inc (AGI), which holds more than 300 classic video games in its vaults, has been sold to Writer's Group Film Corp. for $500,000, in stock and cash. Writer's Group intends to distribute its new collection on smartphone and mobile devices, and future distribution announcements are planned. For now, Writer's Group is just happy to have an asset that, it believes, will be of great benefit; in the nostalgia dollar if nothing else. AGI's mission in life has been to repackage Amiga's old titles for new mobile platforms. If you're the kind of gamer who goes nuts for old 16-bit games, then you may have already discovered it. It's not clear at this point what plans its new owners have for the Amiga library, and no, we don't know which of Amiga's many, many titles are actually among the 300+ Writer's Group apparently bought when it purchased AGI. So which would you rather see hit the small screen thanks to this purchase? 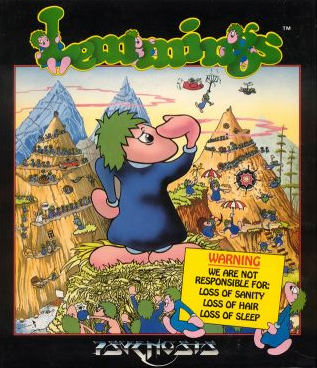 I'm a Lemmings fan, but Lord alone knows whether that - or which of the Amiga's other beloved classics - are actually now in the Writer's Group collection.